While sorting through my latest batch of screenshots the other night, I found this picture taken in one of the Czerka flashpoints. It's easy to just run through these without paying much attention to the environment, so I was pleasantly surprised when I actually paused to look at a wall for a moment during a tactical run and noticed this interesting looking poster. Appropriate, but also a little disappointing in my opinion. I would've expected them to tell you something about the critters they were keeping in the habitat instead of just a vague note about their home planet. That's kind of like visiting the lions in the zoo and the sign at the enclosure just tells you about the continent of Africa. Also, my inner language geek couldn't help but notice that the Aurebesh alphabet has separate letters for sounds like "th", yet on the poster they always just use the ones for t and h together. Sloppy! Now I want to go back to Core Meltdown just to check what they have to say about the desert habitat area/Tatooine. And I should really pay more attention to those signs in general, now that I've figured out how easy they are to transcribe. I find these little gems fascinating, because it speaks to the level of detail that the artists put in to creating the world. The posters are an example showing that the devs did at least _some_ historical research; they have an Art Deco propaganda-poster style, with the Imperial posters having a more pronounced feel reminiscent of Russian/Soviet propaganda posters than the Republic ones, that enhances the "us vs. them" polarization between the Republic and the Sith Empire. The posters and banners in Justicar territory on Coruscant have a revolutionary "Resist the Republic Oppression" flavor, too. And there are the occasional screwups. 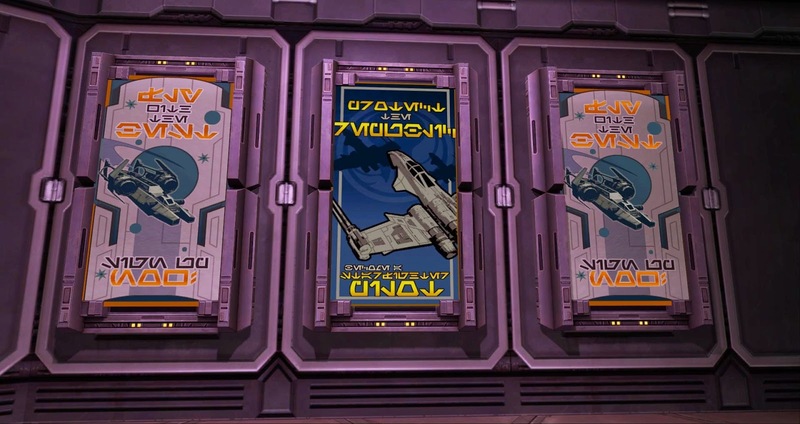 In the Old Galactic Market area of Coruscant, there are posters that read "Coruscant Market -- Everything in the Galaxy" -- but one of these posters can be seen in front of you on the face of the building wall right before your taxi turns to land at the OGM taxipad (you can see the poster as soon as you make the turn at the WB's spawn point), and it reads "Coruscat" instead of "Coruscant". I'll have to wait until I get home to see if I have a screenshot of it or go back to get one, but there's an electroposter kiosk on the east side of the crew-skill trainer area on Dromund Kaas that has an extended warning about the life forms on the planet that was entertaining to read. "Dromund Kaas is home not only to the great Sith Empire, but also to many vicious beasts who roam the jungles." "Units operating in the field should be prepared to encounter creatures such as vine cats, sleens, yosusks, and most notably, gundarks, which may cause heavy damage to vessels and instruments which are critical to the glory of the Empire." "Public transit available only to citizens of the Sith Empire." "All humans travelling with non-humans will need an appropriate clearance." "You are under constant surveillance. Be on the lookout for suspicious behavior. The Empire is counting on you and you need the Empire. Avoid hubs that you are not needed in and have no direct business in. The empire will remain strong as long as you stay vigilant." "Forget the bylaws at your peril." That's cool; I'll have to keep an eye out for those next time one of my Imps is on Dromund Kaas! I notice those all the time..Coruscant, DK, Corellia especially! Love this kind of lore. Actually, they're correct in using Trill, Herf and Esk to form the word "The" as opposed to just Thesh and Esk. Thesh is like Theta in Ancient Greek in that it, in its most common form, represents a soft "th" sound (Synthesis) as opposed to the harder sound as heard in "The". That is, unless these posters are using the emphatic form of the word, which is unlikely given their context. Aurebesh is a language based off of auditory indicators rather than visual replacements, despite its being a near-literal transliteration of English as demonstrated by your pictures. In the former regard, it is similar to Ancient Greek. I particularly love that they've used a separate character for "ng"; Greek creates this character using two Nu, or "n", next to each other ("Annelos" = "Angelos", for example). 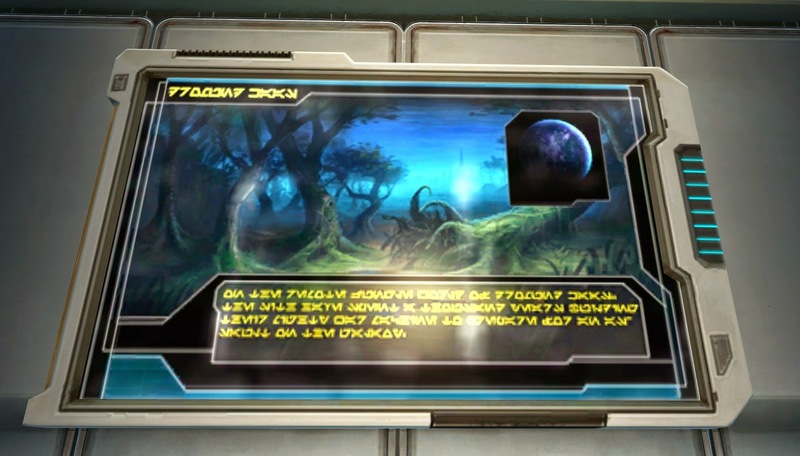 Reminding myself of that makes me wonder what little grammatical clauses exist in Aurebesh; whilst words are, as mentioned above, very nearly exact transliterations, I doubt there'd be much to catch people out. I do hope so, as adding in little things like that would be fantastic and would really add to the depths of this language. I know "the" doesn't use the "th" sound, I was more referring to the word "thousand", which is on the poster too. Sincerest apologies! 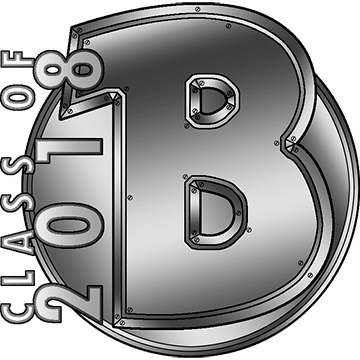 Classicist by nature; even so much as hearing rumours of connections to anything ancient (including language) just gets me into a very excitable and nerdy state; couple that with anything Star Wars and I'm almost irrational with geekdom.